FRstress generates reproducible disturbances in FlexRay systems. It can generate protocol errors as well as manipulations in bus physics that are activated by trigger conditions. 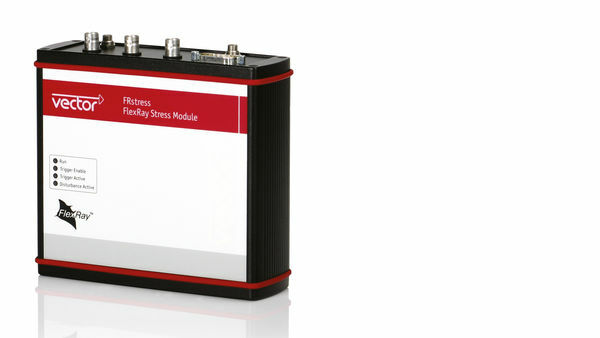 FRstress is an easy-to-use hardware module whose integration in the system differs depending on the desired disturbance. FRstress is the ideal tool for testing disturbance handling in FlexRay systems and nodes. It enables reproducible simulation of line problems. Compact CAN (FD) disturbance hardware & a network interface for CANoe combined in one device.